Waltzing Matilda – A shearer’s strike, a suicide & Banjo: How our unofficial national anthem came into being. 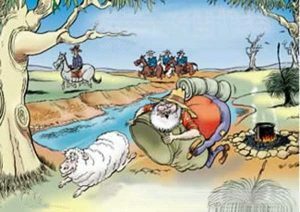 By the 1950s Australia ‘rode on the sheep’s back’. It was a phase that came to symbolise what it was to be Australian. For a century, the wool industry had given Australia one of the highest living standards in the world and the economy rode high on wealth from primary exports. With the opening up of Australia and the continued settlement of its interior, by the late 1800s the wool trade grew to become one of Australia’s largest industries. And as the demand for wool grew so did the number of people employed within the business. 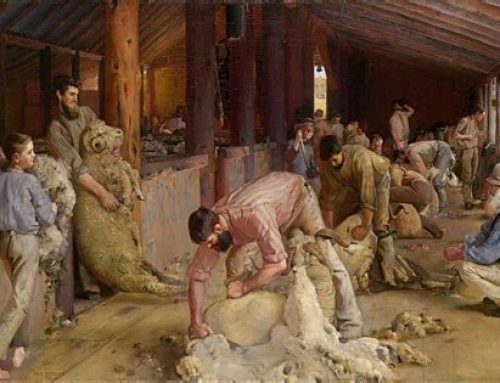 The number and growing influence of its shearers was reflected in the power of the Australian Shearers’ Union which by 1890 boasted tens of thousands of members. 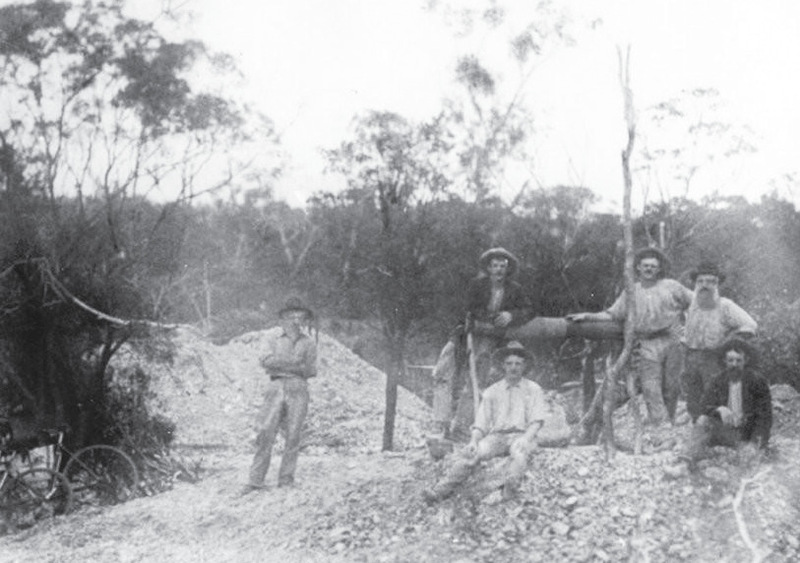 At their annual conference in Bourke NSW in 1890, the union laid down a new rule, which prohibited members from working with non-union workers, such as the much maligned Chinese whose industriousness and low-cost labour angered many. 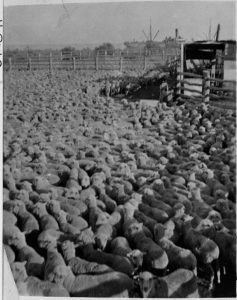 Shearers at Jondaryan Station on the Darling Downs, QLD went on strike over this issue, then, soon after, at Logan Downs Station, union shearers were outraged when they were asked to sign a contract that would reduce the power of their union. Unions like to flex their muscles and on 5th January 1891 the shearers announced a strike until their demands were met. 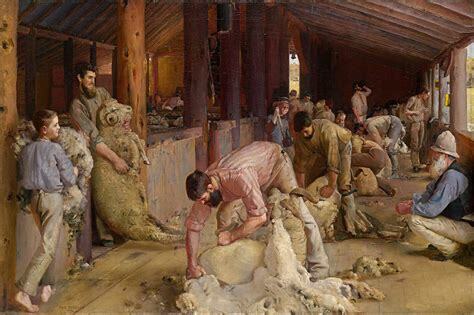 Of high priority was the assurance that their existing rates of pay would continue, and of course, they wanted any other low-cost labour totally excluded from the shearing shed. The strike spread quickly. 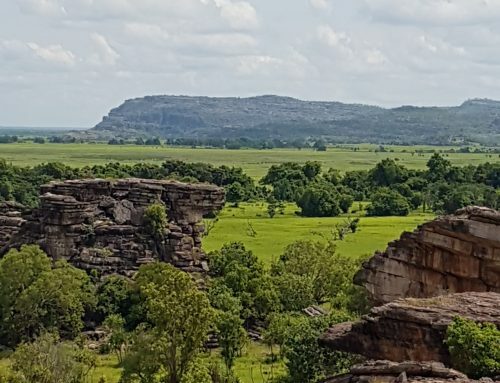 From February until May, central Queensland was literally on the brink of civil war. Shearers formed armed camps outside towns and raided shearing sheds, harassing non-union members and generally causing disruption to many farming businesses as well as frightening landholders and their families. Meanwhile, thousands of soldiers protected non-unionists and arrested strike leaders. 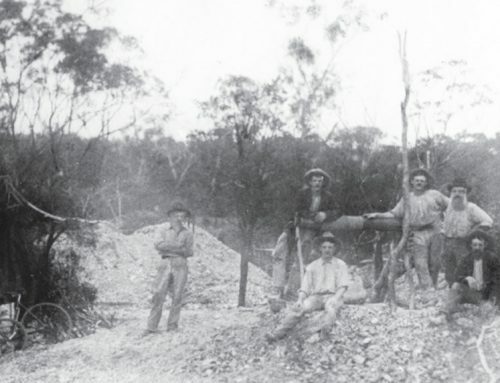 The Queensland government of the day eventually called in the military to end the strike. However, tensions continued to simmer and at Dagworth Station in 1894 striking shearers turned violent setting fire to the woolshed and killing dozens of sheep. 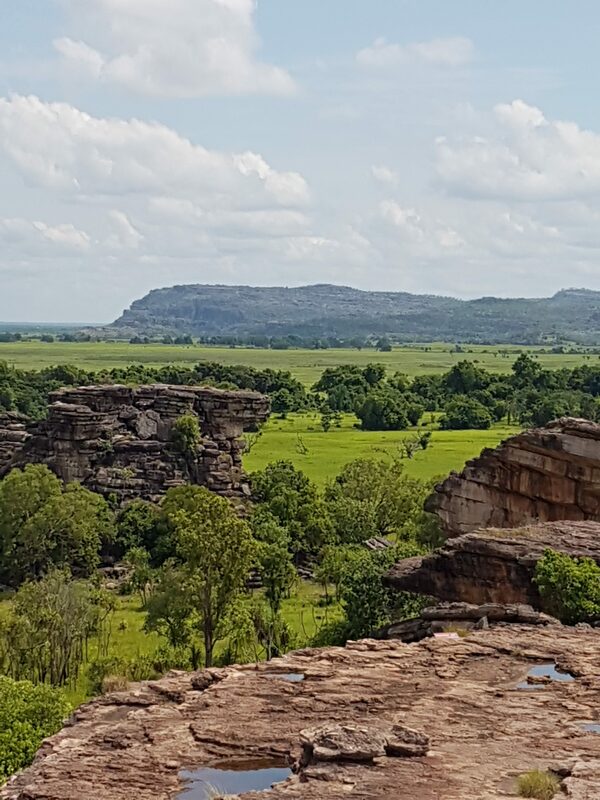 The owner of Dagworth Station and three policemen gave chase to a man named Samuel ‘Frenchy’ Hoffmeister, but rather than be captured, Hoffmeister shot and killed himself at the Combo Waterhole. It’s believed that Banjo Patterson passed the Combo Waterhole where Frenchy committed suicide while staying at Dagworth Station in 1895 and that it was Frenchy’s story that led to Banjo penning our unofficial National Anthem, Waltzing Matilda. It was such a well-known event that that the owners of Dagwood Station, the Macphersons would have undoubtedly shared the story of the violent uprising on their property and the man’s death. The title of Waltzing Matilda is Australian slang for travelling on foot (waltzing, derived from the German auf der Walz) with one’s belongings in a “Matilda” or swag, slung over one’s back. The song narrates the story of an itinerant worker, or swaggie making a drink of tea at a bush camp and capturing a jumbuck (sheep) to eat. When the sheep’s owner arrives with three police officers to arrest the worker for the theft, the worker commits suicide by drowning himself in the nearby watering hole, after which his ghost haunts the site. For many Australians it has become so much more than that. Tom Roberts – capturing the bush. Stone Country – Book Extract. As we now know the ‘swaggies’ name was Andy. Always interested to hear bush stories. Making a drink of tea?? What the hell! He was boiling his billy. Not everyone who reads my blogs lives in the bush. Nor do they necessarily know what a billy is; I’ve discovered that previously.